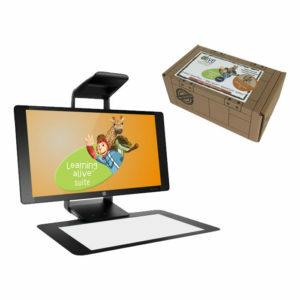 This product is ONLY available to ship within the continental U.S. and will require shipping charges. 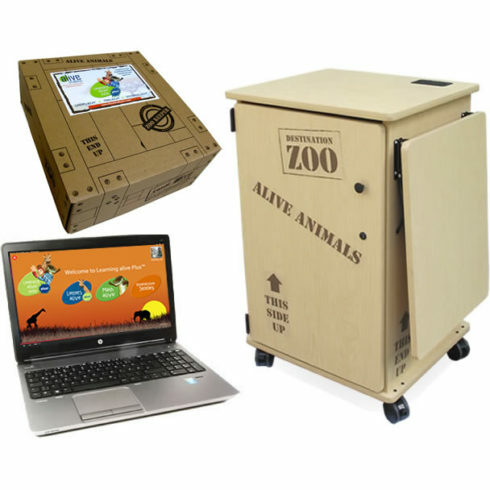 This convenient bundle combines an HP Notebook, preloaded with our Learning alive Plus Suite, and a Teacher’s “Zoo” Cart with built-in Audio. • Just power up, click, and go! 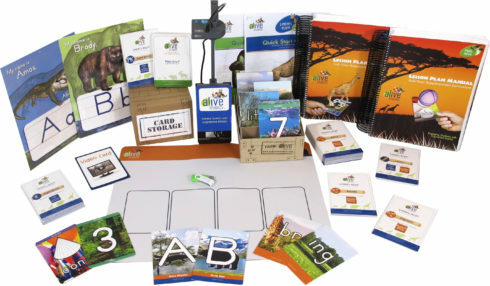 Learning alive Plus is a full suite of our software learning kits including Letters alive® Plus,Learning alive supplemental reading and math software Math alive®, and three Interactive Stories designed to help your early learners become proficient in reading and math. Teachers have the flexibility of teaching to whole group, centers, or individual students. The Learning Suite includes full-year, supplemental curriculums aligned to Common Core and the TEKS for Kindergarten. 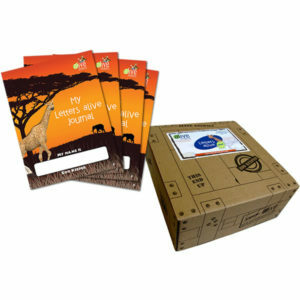 For one price, you can fill your classroom with our cast of 26 animated animal characters enhancing the way you teach reading and math. Enjoy the action, sounds, and engagement as our animals seemingly spring to life through the magic of Augmented Reality, which provides a 3D experience without glasses. Reading, math, and story time will never be the same and your students will love you for it! 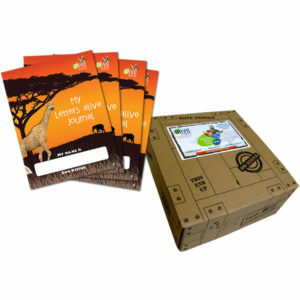 Our three digital Storybooks engage kids (3 to 8yrs) and make learning fun! – Each story includes challenging games that teach left to right, comprehension, critical thinking, strategy, up/down, counting, sorting, and so much more! – One character trait is incorporated into each digital story (eg. punctuality, courage, and kindness). – Students can read by themselves or Storybooks alive can read to them. – Words are highlighted as they are read aloud. 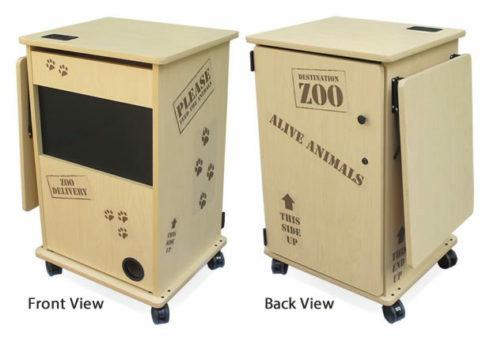 Details about our Teacher’s Cart These Carts have a super sturdy design and are made from 90% pre-consumer and 10% post consumer recycled wood materials so they won’t rattle or loosen like metal carts. They are low-maintenance, covered in heat- and impact-resistant laminate, and offer high value for the investment. At 24w x 20d x 36.5h our Carts can fit most anywhere! All carts come with a top grommet with cable holder insert, 6 surge protected outlets/20 ft cord, full height locking door, & heavy duty locking swivel casters. Although laminate is durable, scratches are unavoidable because classroom Carts typically get heavy wear. Packaging/Delivery (via. Common Carrier): Carts are shipped via common carrier inside cardboard container(s) made from recycled and fully recyclable materials. Additionally, carts may, at times, be strapped to a pallet to ensure added protection during shipping. These pallets are made of wood and are fully reusable and recyclable.